“Having recently relocated to Indonesia from New Zealand as the PADI Regional Manager I have been pleasantly surprised at many things as I learn about this new region, one being the number of amazing women I have met working in the dive industry here. Both locals and expats hold roles as divemasters, instructors, managers, owners, conservation advocates and so many more! It is great to see events like this being supported and women being celebrated in the sport. With PADI Women’s Dive Day just around the corner Regional Manager Jen Clent caught up with a few local women involved in the dive industry in Indonesia for a chat about their journey so far. Meet Yuyun (Sri Wahyuni) – Yuyun works in Pulau Weh and is leading the way in changing perceptions about local women entering the dive industry. Yuyun was the first local female instructor in Aceh where historically this has been a male dominated career path. A fantastic role model! When and how did you get involved in diving? What is your current role in the dive industry? “I am a PADI OWSI and Diving Manager for a PADI Diving Centre”. What tips or advice would you give to someone who is thinking about a career in diving? “Imagine doing what you love every day and get paid for it. Don’t even doubt in entering in this world, You will not regret it”. 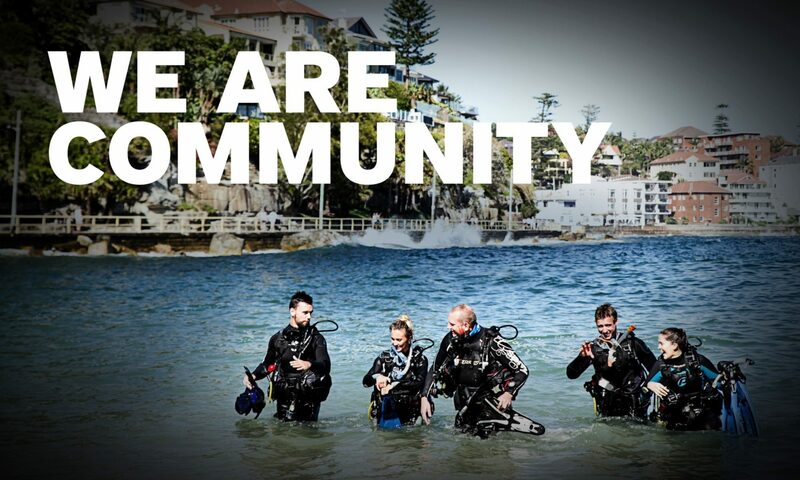 What is your favourite part of working in the dive industry? “Helping people overcome their fear and showing them a new amazing different world”. Do you have a ‘bucket list’ dive destination you are dreaming of going to? “Galapogos, Raja Ampat, the Blue Hole, and Maldives”. What attributes make you more successful in diving? “Being always positive and friendly and also be open to learn new things”. What is the next step in your diving career? “Having my own PADI Resort”. What has been your best moment in diving? “I started diving in 1978 in one of the first commercial diving schools in Holland, after a spontaneous decision made while leaving a swimming pool after doing some long distance training to get rid of my stress from home. I loved it from my first breath underwater; although no briefings or information were custom at the time and the equipment just consisted of a tank with a backpack and a J-valve, a single regulator, fins and a mask. The training was hard and harsh, but I loved it and was 1 woman with 34 male buddies”. “Currently I own and manage 2 Dive Resorts in North Sulawesi in Indonesia and train local kids until they can have a job in the diving industry. I have built a school in my village and trained many local kids who are now working all over Indonesia. It makes me proud and happy and it makes me feel good”. “As a tip I would say; follow your heart and not your wallet. Until now, diving is still not being looked at as a business where instructors are taking up a lot of responsibilities and liabilities. Until now, in many areas, it is still seen as a hobby if you work in this field. Your heart should be in it; your love for the sea, your love for teaching and you should enjoy the life style”. “I am a person that likes challenges and I could say that I am a ‘builder’. Not only of resorts (and schools) , but also of people. I love teaching and trying out new ideas and projects. I also like to try out new activities and go ‘off the beaten path’ regularly”. “I just came back from South Africa, which was on the top of my bucket list. I would like to try the Galapagos next. Living , working and diving in the tropics is amazing, but the roughness of cold water diving is also something that attracts me. I would do it from a liveaboard though”. “I am in the industry for a long time already and was the first female Course Director in Europe. This chance was given to me to help increase the number of female divers in the industry. It works until now; especially with me teaching in the local school. The number of girls joining my class is growing. There are many female divers and instructors now and really good ones too. Women are usually very good at ‘multi-tasking’ and I think that being multi talented is giving novice instructors the best chances to become successful. There are many good instructors in the world, but finding one that has other useful skills, like languages, IT, mechanics etc is certainly something that in my opinion increases the chance to get a great job”. “I am, presently running my resorts, which in Indonesia is a daily challenge, nevertheless I have taken up a feasibility study for one of my ‘brain babies’ to see if so called ‘dive college resorts’ could be realised in Raja Ampat”. “There are many great moments in my 40 years of diving. If I have to mention just one, it was being present at an enormous bait ball with tuna, jacks, dolphins, orca’s and sharks; just in front of my dive center”. “I grew up in a diving family. My father and grandfather were both diving instructors and I got my Junior Open Water when I was 10. I guess you could say that diving is in my blood”! “Currently, I’m working as a diving instructor in our family business in Bali”. “I really enjoy teaching beginners and I think it’s a great way to travel the world, meet people and get paid to do something you love”! “French Polynesia for sure! But also other parts of Indonesia like Komodo and Raja Ampat”. “I had a lot of problems in the beginning learning to dive myself, especially equalizing my ears and clearing my mask! I think this helps me to understand the problems that new students can have with certain skills and it makes me a more patient teacher”. After working a couple of years as a diving instructor, I would like to manage my own dive center. Some of my best moments underwater are when I am exploring myself and doing crazy things, like handstands and flips! Also, it is hard to describe but when I am diving it feels like the ocean and its creatures have become my second home. “When I was 13 years old, coincidentally after my family had experienced a dive in Australia, I discovered that I was deeply in love with the underwater world. Slowly, after I started to get more knowledge about diving, I was very interested in everything about diving, such as Technical diving, Recreational diving, and Free diving”. “I am a diving instructor in the diving industry, and more is to assist IDC course. At the same time I am also a underwater marco photographer”. “Because more and more people begin to dive, I hope diving professionals do not bulk certify student, need to provide quality teaching, and following all the standards”. “When I was teaching, I liked to see the student’s continuous improvement, which made me feel happy as a instructor. When I took macro shots underwater, I like to keep looking for the super small animals and record their joys and sorrows”. “I want to go to Mexico to study cave diving techniques”. “Successful diving is the first thing that must be following standards. The next step is to enjoying. Whether it’s teaching or fun diving, enjoying your character will make me successful”. “Next, I will work hard to become a Course Director”. “Every dive are my best my favorite moment, when I bite my regulator to breathe, when I equalize, when I can feel like a state of no weight as in space, when I suddenly encountered my favorite animals underwater without expectation . That’s why every dive are my best moment”. Want to get involved in Women’s Dive Dive? Find out more information on local events here. If you wish to host your own PADI Women’s Dive Day event you can register your event here.